Just in time for North Carolina craft beer month, Mother Earth Brewing and Fullsteam Brewery will release a collaboration beer called WhipaSnapa. The goal is to bring together two North Carolina-based breweries to create a fantastic beverage using North Carolina grains to promote North Carolina Beer Month. 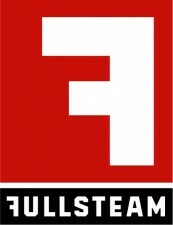 Having long been a fan of Fullsteam beer, Mother Earth President Trent Mooring sought out Sean Wilson, Chief Executive Optimist at Fullsteam Brewery, and proposed the collaboration. Wilson jumped at the opportunity. After many emails, phone calls, and pilot batch brews, Mother Earth Brewmaster Josh Brewer and Fullsteam Brewmaster Chris Davis settled on two recipes: a 5.9% ABV wheat session IPA brewed by Mother Earth (WhIPA), and a 5.3% ABV American Pale Ale brewed by Fullsteam (SnAPA). Both brewmasters love IPAs and pale ales but wanted to put their own fresh spin on the styles. The two breweries will also be hosting two collaborative beer dinners to celebrate the beer and North Carolina Craft Beer Month. Mother Earth Brewing will be hosting a dinner on April 4th at Chef & The Farmer, located in Kinston, NC, and Fullsteam Brewery will be hosting a dinner on April 22nd at Lantern, located in Chapel Hill, NC. Representatives from both breweries will be at each dinner to discuss the collaboration, food and beer pairings, and the state of beer in North Carolina. Reservations for both dinners can be made by contacting each restaurant directly. WhipaSnapa will launch April 1 and be offered on draft at bars and restaurants across North Carolina. Mother Earth Brewing was founded by Stephen Hill and Trent Mooring in 2008. Soon after, they added Brew Master, Josh D. Brewer to the team and within months, an old downtown building was repurposed into a brewery. Mother Earth Brewing began to bottle and keg their beer in October of 2009. Today, just over four and a half years after production of their first batch of beer, Mother Earth Brewing counts on a team of eighteen people to keep up with production. Mother Earth Brewing enjoys over 4,000 accounts, and can be found in bars, restaurants, supermarkets and specialty stores across North Carolina, Georgia, Northern Va. and Washington, DC. Mother Earth Brewing is the first Gold L.E.E.D. ® certified production brewery in the United States. 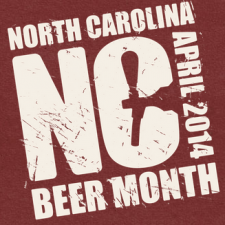 The brewery and Taproom are located at 311 North Heritage Street Kinston, NC 28501. 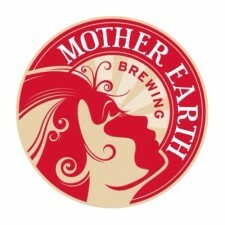 More information can be found at www.motherearthbrewing.com – @MotherEarthBrew – facebook. For more information about LEED®, please visit www.usgbc.org/leed.